Minutes ago, fans left the historic Wrigley Field, as The Foo Fighters played through the rain to give a killer set to a sold out Chicago crowd. Attributing the Windy City for the launch of his career, Dave Grohl told fans about the first rock show that made him want to be a rock star, just across the street from Wrigley as he saw his openers tonight (Naked Raygun) perform. In addition to Naked Raygun, fans tonight also saw great sets from more of Chicago’s finest, with Cheap Trick and Urge Overkill. It’s not easy to follow Billy Joel (who performed at Wrigley just two nights ago), but boot and all, nothing was stopping Grohl and The Foo Fighters from giving Chicago a hell of a performance tonight! 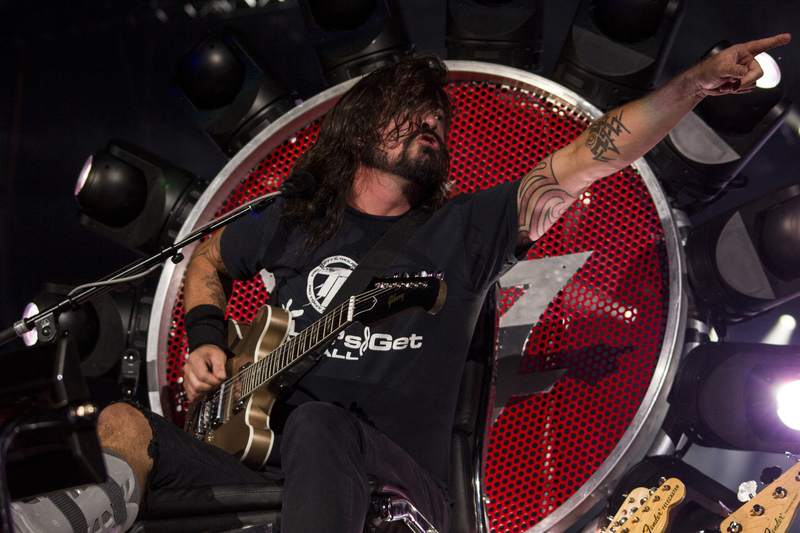 Check out our photos below and be sure to check out if The Foo Fighters are coming to a city near you.